Melissa Park PhD erg. OT/L is an Associate Professor in the School of Physical and Occupational Therapy, Faculty of Medicine at McGill University,member of CRIR and Participatory Research at McGill (PRAM) and an associated researcher with the Culture and Mental Health Research Unit (CMHRU), Transcultural Psychiatry. 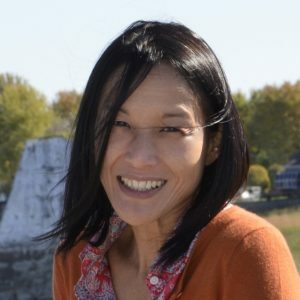 As an occupational therapist with a background in History of Art, Occupational science, and Medical Anthropology, she has extensive clinical, research and pedagogical experience using the terms of humanities and rehabilitation to understand healing and transformative and relational processes at dyadic, systemic and sociocultural levels from first-person or experience-near perspectives using narrative-phenomenological and aesthetic conceptual frameworks. Her funded ethnographic and participatory research has focused on understanding and working with multiple stakeholders in mental health related issues, including persons with invisible disabilities, family members, health and social care professionals, policy makers and citizens on topics ranging from “healing” encounters and policy implementation to issues of inclusion, equity and justice.